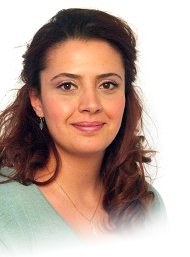 Handan Restelica was born in Krefeld in 1985. After finishing school Handan started a traineeship as a health care nurse, before she came to the company C.H. Erbslöh in 2008 to do work experience. After successfully finishing a company internal project she completed her traineeship at the company as a wholesale and foreign trade clerk. During her almost 4 year working time at C.H. Erbslöh, Handan gained experience in many different departments, such as information systems, accounts, material planning, quality management, and especially in the sales area of purchasing and sales. In her last job as purchasing and sales assistant, she was mainly responsible for the processing of orders as well as the customer care at home and abroad. In summer 2012 Handan changed her working place to innotaste GmbH, where she will work as a sales assistant.